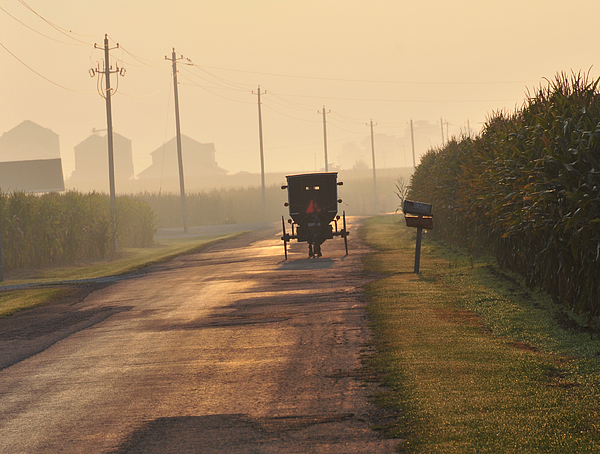 There are no comments for Amish Buggy And Corn Over Your Head. Click here to post the first comment. 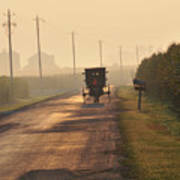 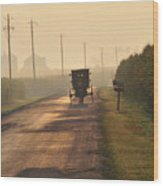 Amish buggy on rural road by corn field with foggy morning light.